Super Bowl LIVE presented by Verizon is the Atlanta Super Bowl Host Committee’s free-to-the-public fan village, which will highlight Atlanta’s vibrant culture and music scene, featuring concerts produced by GRAMMY Award-Winning Producer Jermaine Dupri. 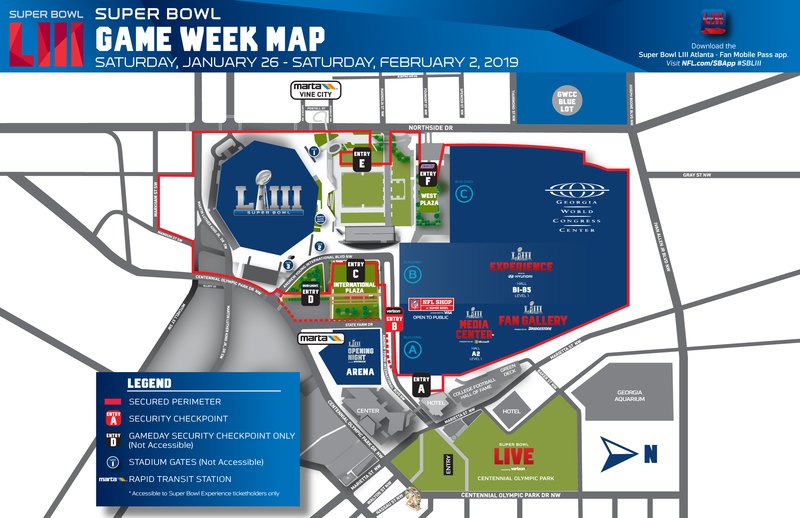 Super Bowl LIVE presented by Verizon will be open beginning Saturday, January 26 and closing on Saturday, February 2 at Centennial Olympic Park in downtown Atlanta. Super Bowl LIVE presented by Verizon is designed to showcase the best Atlanta has to offer, with interactive games, activities and nightly concerts produced by Jermaine Dupri. For more information on Super Bowl LIVE presented by Verizon, please visit the Atlanta Super Bowl Host Committee’s website ATLSuperBowl53.com.